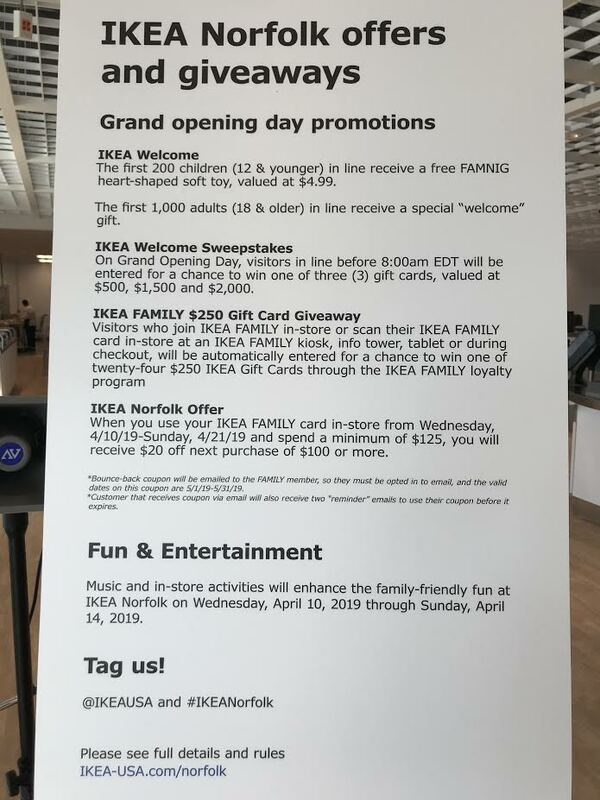 IKEA Norfolk Opening Day is Wednesday, April 10th 2019! This has been a much anticipated opening for so many in Hampton Roads and the surrounding areas. 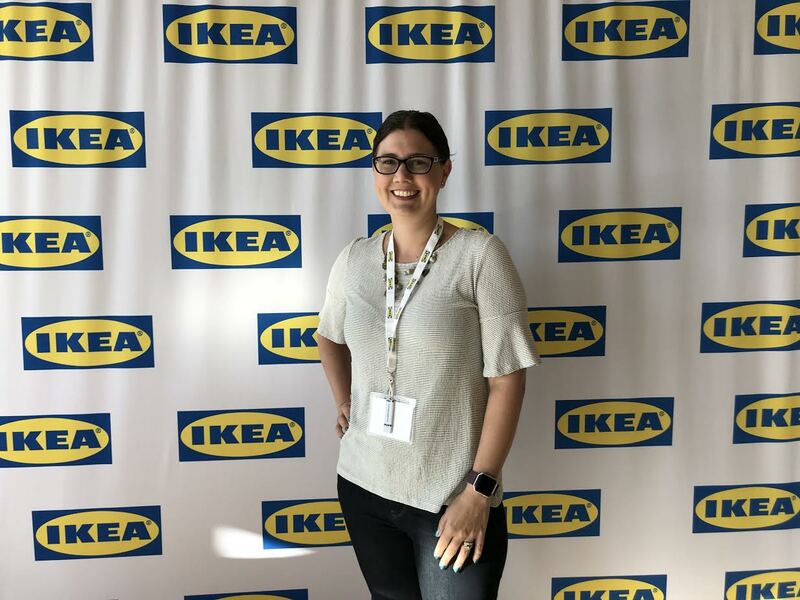 Interestingly, this is the 50th IKEA store in the U.S. and second in the state of Virginia! 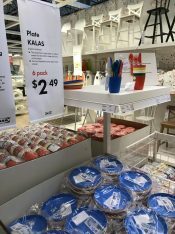 The store is located near the border of Norfolk and Virginia Beach, so I’ve heard a few people say IKEA Virginia Beach, but it’s actually in the city of Norfolk. Wanna shop on Opening Day and get fun stuff? Customers can begin to line up outside the store at 5:00 a.m. ET on Wednesday, April 10 (no campers please). Entertainment for customers waiting in line will start at 6:00 a.m. ET, followed by the grand opening ceremony at 8:15 a.m. ET. Doors will officially open at 9:00 a.m. ET. This is will be a traditional ribbon cutting ceremony. Instead, the Swedish tradition is to saw a log for luck! That will be cool to see! There will also be music and face painting to celebrate the grand opening from Wednesday – Sunday. Customers can learn more about the grand opening plans and promotions at IKEA-USA.com/Norfolk or by joining the free IKEA FAMILY loyalty program. Visitors who join IKEA FAMILY (this is FREE) in-store or scan their IKEA FAMILY card in-store at an IKEA FAMILY kiosk or tablet will be automatically entered for a chance to win one of twenty $250 IKEA Gift Cards through the IKEA FAMILY loyalty program. Two winners will be randomly drawn and announced every hour from 10:30 a.m.-7:30 p.m. on opening day. 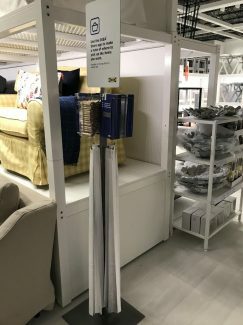 IKEA FAMILY members – use your IKEA FAMILY card between Wednesday, April 10 and Sunday, April 21 and spend a minimum of $125, and you will receive a coupon for $20 off next purchase of $100 or more. Must opt-in to receive IKEA FAMILY emails to receive offer. 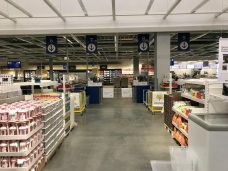 The New IKEA Norfolk – What Does it Look Like? Now that you know about the opening day activities, let’s talk about this massive store. I’ll tell you, I’m an IKEA virgin. 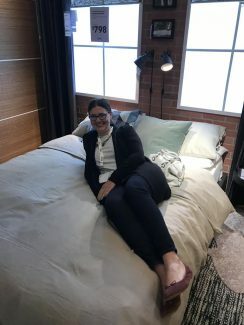 This was my first ever visit to an IKEA store (gasp!) But I learned a ton of information from the helpful managers that welcomed media members in for the sneak peek. The entire store is comprised of huge open spaces with chic, bright colors. 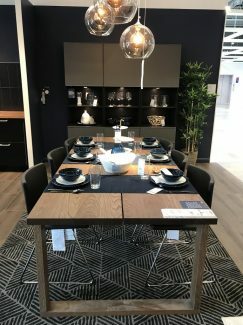 Throughout the room and home settings, IKEA inspires people to create their own home offering a unique shopping experience at affordable prices. 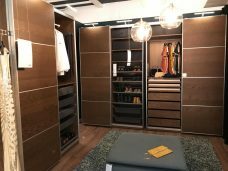 During the tour, we saw furniture and room designs to fit all budgets. There were couches, tables and whole kitchens that range from budget friendly to higher end. 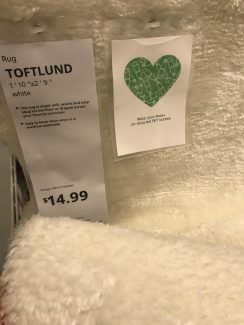 IKEA has something for everyone! There are 415 co-workers (employees) at the IKEA Norfolk, many hired locally. They also used a lot of locals to help not only in the construction but the interior design as well. My media partner has a friend who sewed some of the curtains and the brightly colored lamp shades hanging in the restaurant. The store even boasts 3600 solar panels on the roof powering the grid. Another great feature is vendors put products into special boxes, so the products can be displayed in these boxes instead of wasting paper. I learned one things that’s different about this IKEA than many others is that there is more garden and outdoor products. 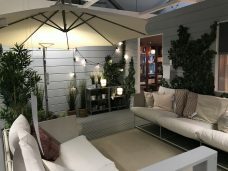 Due to it’s location near Virginia Beach, outdoor living spaces are something people in this area are looking for. A quick cool fact. Do you know what IKEA stands for? Ingvar Kamprad Elmtaryd Agunnaryd – Ingvar Kamprad is the Swedish founder who was born on a small farm called Elmtaryd near the village of Agunnaryd. Cool huh? And the kids play area Småland was the Swedish province. This store is longer than typical stores (or so I’m told), so there are only 2 floors instead of 3. Veteran IKEA shoppers won’t feel like they’re missing out on anything. This store is HUGE! Upon entering, you’re welcomed into the main foyer with couches so you can lounge around and wait for the rest of your party, bins to grab a yellow shopping bags, the escalator to head upstairs, and the children’s play area called Småland where you can drop the kids of to play in a supervised environment. You could continue on this floor to get a cart if needed for large items. You won’t need a cart upstairs! Just take the yellow bag or grab one from a bin on the 2nd floor. The fun kitchen gadgets, tableware, glassware, laundry items, pillows, shades, storage, pet, lighting, garden, rug and patio items are on this floor. You’ll find everything on your shopping list plus goodies that you never knew existed but that you now have to have! 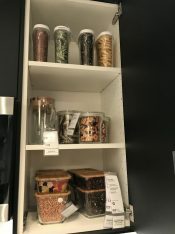 There are some great glass food storage containers on my list to purchase as well as some fun storage items for my office. If I wasn’t trying to keep up with a group, I may never have left the store! One of the cool items is a rug that’s made of 100% recycled plastic bottles. And it’s super soft – who would have thought! There are some great world prints that I’d like to have as well as 79¢ plant pots. Seriously! They were so inexpensive and the quality looked great. They also had gorgeous handmade Turkish rugs and window blinds without strings as a softly feature for kids. Additionally on the first floor is the warehouse for picking up your boxed items, the As-Is section AKA scratch and dent, a bistro and area where you can purchase some of your favorite IKEA food to take home. 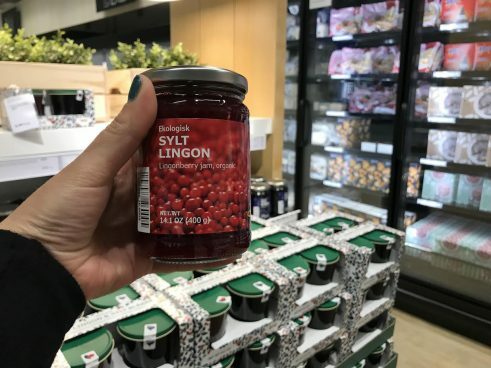 I’ll be picking up some Lingonberry jam for hubby and the kids once the store is open. They LOVED this when we visited Sweden. I’d suggest heading upstairs to start your shopping otherwise you’ll have a cart load of stuff if you start on floor one! Once upstairs stop for a Fika, a Swedish term for taking a relaxing coffee and cake break. You’re gonna need that quiet time and shot of caffeine to begin your shopping adventure! I’ll share a separate post just on the food and restaurant. in each of these homes. Open a drawer or cabinet to find ideas on how you can use the piece or what you can store in the compartment. The square feet of the area are posted as well as the price for everything included. You can also customize pieces such as the TV stands to incorporate the size of your televisions and needs. IKEA products were designed for small spaces as that’s the culture in Sweden. Maximizing limited space is imperative. A coffee table, shouldn’t just be a table. It should be used for how you live such as having a space to store kids toys. 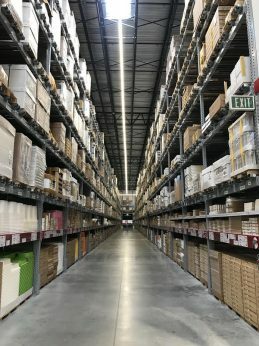 IKEA builds products from the inside out, with no air space. Open a kitchen drawer and you can pull out another drawer on top that maximizes the space. 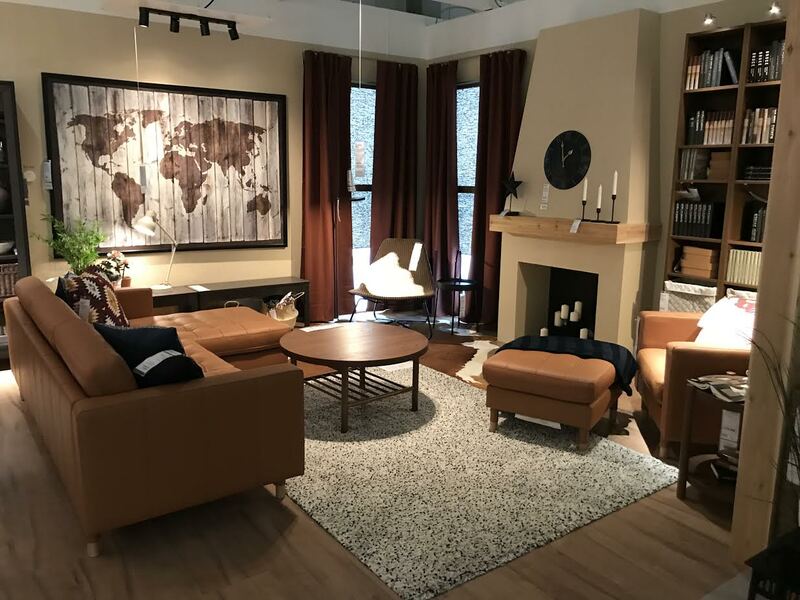 On the 2nd floor, you’ll find full designs for living rooms, bedrooms, bathrooms and kitchens. Co-workers are available to help with design options. In addition to the homes and designed rooms, there are showroom sections for couches, chairs, tables, mattresses and appliances (these are Whirlpool brand). Take a look at the closet designs as well as the cute kiddy rooms while upstairs. This area also contains kids toys and craft items. IKEA is extremely family-friendly. The children play area, Småland, located on the 1st floor will keep your child entertained as you shop. All children must be registered and get a wristband. Parents will have little buzzers to carry around as they shop. 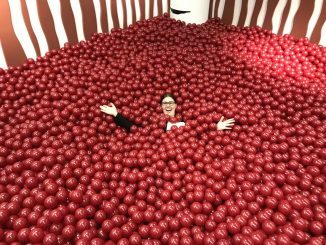 Children as supervised and will have a blast in the ball pit. Space is limited, so there is a TV area outside where you can wait for your child to be allowed in. Parents must remain here with their kids. Even the staircases have lower railings for young children and plenty of toy options available for them to beg for presents. Child friendly options are also available in the restaurant. Join IKEA FAMILY either online or in-store at the kiosk. It’s FREE! You’ll get free coffee or tea at the restaurant, monthly product discounts, extra 30 minutes for kids in Småland, 90 day price protection and gift card giveaways. You’ll see the discounted items posted through the store. Stop by a Shopping Tools stand to pick up a measuring tape, pencil, map of the store and pad to write down the location of the products in the warehouse that you wish to purchase. Once you’ve decided on a product, you don’t carry that chair downstairs or place an order with a co-worker. On each tag is a location in the warehouse to pick up a box (since all products must be assembled). Write down the location, snap a photo with you phone or use the app. Download the IKEA Store App – this allows you to making a shopping list from home, scan the barcode of your favorite products to add it to your list and much more. Kitchens have a 25 year warranty! Mattresses can be returned or exchanged for FREE – conditions apply. Shipping charges are based on zip code and the distance from the store. All plastic products such as kids cups and plates are BPA free. 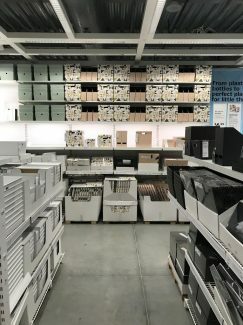 IKEA will give you attachment kids for free to anchor your furniture to the walls – another family friendly feature!! 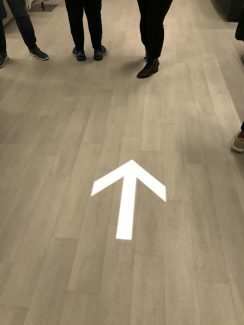 Don’t get lost – just follow the lighted arrows on the ground to keep moving through the store. 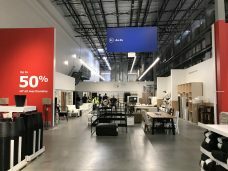 I can’t wait to actually shop at the IKEA Norfolk location! 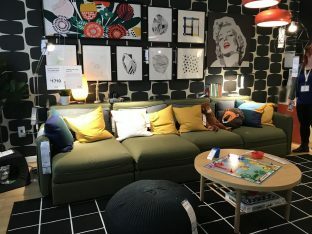 Plan a day to get the real IKEA experience with a lunch of Swedish meatballs and a leisurely wander around the impressive store. The opening day festivities are just the beginning. 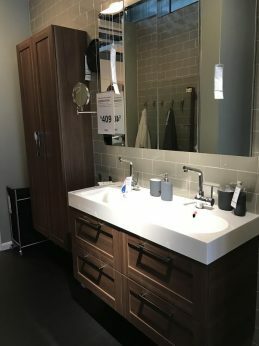 What are you IKEA tips? 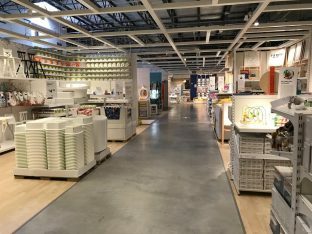 Are you excited for the IKEA Norfolk opening day?